Build up the initial valuation parameters to understand the company's direction. Pricing range and potential: What will one unit of product/service cost now and into the future for the target company and market? EV/EBITDA comparison: Looking at public valuation comparisons will provide an initial range of expectations for valuation multiples. EBITDA margin comparison: Especially for opaque private companies, a comparison of profitability margins for similar companies will give an indication of free cash flow generation for the target business. What are the types of valuation calculations that can be used for fintech companies? DCF: A great valuation method when the user has access to both in-depth company financials and candid internal management thoughts. Its usefulness declines considerably when either of those resources are not available. Granular step-by-step: Similar to the volume approach but involves projecting each business unit separately. This is more accurate and can allow for more attention toward potential future new business lines. Multi-scenario probabilistic: Applying probabilities to future scenarios (positive/negative/neutral) can allow the valuation team to see how much variance can apply to the mark based on what level of success the business achieves. In my first article, I went through the process of how to value a startup in the fintech space and provided insight into what creates “value”, which in turn translates into valuation. We also saw that valuation is an art form during the early stage of a fintech company’s lifecycle and, as it progresses towards a stable business model and starts generating cash, it increasingly becomes a scientific exercise based on the visibility into cash flow generated by the company. To continue this theme, I will look at how the same principles are applied to a real-life situation of company valuation. This will be referenced to the different principles enumerated before, including looking at the various parameters that determine value creation, comparing funding milestones with theoretical models and, finally, delving into a futuristic view of how to value a company. To make this appear more tangible, I will be valuing TransferWise (TW), the UK-based fintech company that started out to disrupt the global cross-border money transfer market which, according to them, was opaque and charged high fees to customers. The company started in January 2011, has built a robust stream of business, has 4 million customers, handles transfers worth over $4 billion per month, and was most recently valued at USD $1.6 billion. 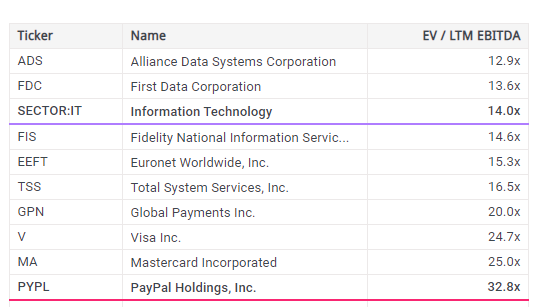 To start with, let’s look at how TW scores on the various parameters listed in my first article as some of the key parameters that determine the valuation of a fintech startup. TW is clearly solving a problem of simple and easy money transfers across the world. Traditionally, banks and MTOs have enjoyed monopolies on this business and have charged huge fees to customers, running as high as 7-8% at times. TransferWise’s solution is a simple, seamless service that allows customers to easily transfer money at a low and transparent cost using their mobile phones. Its services are already available in 49 countries (over 75% of the world’s GDP) within a timespan of just 7-8 years, served by just 11 offices. This reflects the power of a new age technology platform business, which can build global reach in a short span of time. The simplicity of the offering and constant innovation around new use cases such as borderless accounts and TransferWise business demonstrates the business’ desire to change paradigms of the payments industry and build new product offerings around where it sees gaps in its customers’ journeys. As per TransferWise’s annual report, it’s invested less than $5 million in physical assets, including property, plant, and equipment. This is minuscule compared to the global reach and TAM that it serves across the world and illustrates the point. Any other global bank, in the past, with this kind of reach would have made capex investments worth millions (probably billions) of dollars. TransferWise almost doubled revenues (+100%) from around $85 million in 2017 to around $152 million in 2018. During the same time, its fixed expenses went up from about $60 million to approximately $88 million, an increase of about 45%. This reflects how the overall operational costs can be dramatically reduced as the scale of operations grows further. Even as per TransferWise’s own “mission zero,” it is striving hard to bring down fees to 0.0% (or as close to zero as possible) and has already reached 0.3% on some routes. This is only possible through increasing customers, increasing volumes and, hence, continuously lowering per-unit costs of operation. TransferWise has been clear from inception about its revenue model, with a very transparent pricing model of up-front fees that aren’t camouflaged under exchange rates. It has also been very clear about not cross-subsidizing any currency routes and, hence, charges fees based on the specific costs of each currency route. This appears to be working, as TransferWise has been profitable for the second year running in 2018. TransferWise has been very active in building product cross-sells, starting from a simple cross border peer-to-peer transfer to multi-currency debit cards to borderless accounts and business accounts for SME clients. A business model that encourages cross-selling and increased wallet share inevitably leads to higher LTV, TW is also now building institutional partnerships with banks like Monzo (UK) and BPCE (France). Such initiatives will help it grow its client base quicker. The table below, sourced from Crunchbase, summarizes the various funding amounts raised by TransferWise from its inception up until 2018. As is evident, this table correlates very well with the lifecycle table that I discussed previously, highlighting the various stages of evolution of TW. It is important to note that TW actually made a profit in both 2017 and 2018 and has thus already started generating cash flow from operations. This fact is very well correlated by the fact that the latest funding round that took place on November 18 is actually a debt round, reflecting the fact that the business has already started generating positive and much more predictable cash flows from its business. We will start by identifying the size of the total available market (TAM). From this, we will determine the serviceable addressable market (SAM) based on the products/geographies available with TW. After this, we will make some assessments about serviceable obtainable market share (SOM) based on how much the market can reasonably be captured by TW. These will give us the first two variables that we will use in the valuation exercise: Overall market size and TW’s likely market share. First, let’s try and understand the industry and its total available market size. TransferWise’s primary market is global cross-border money transfer. As per an Accenture Report, based on WTO data, global cross border payments can be seen to be growing from approximately $21.78 trillion (retail $1.95 trillion and corporate $19.83 trillion) in 2016 to $30.20 trillion in 2022. Retail payments are growing much faster at 10% CAGR as compared to corporate ones (5% CAGR). C2B – This primarily includes families paying for tuition fees (both academic and professional) and any other goods/services purchases made by individuals from institutions (excluding credit/debit card payments). These two segments add up to the total retail payments growth as shown in Accenture/WTO data above. B2C – These include corporate payments to freelancers (which by a number of reports are growing very fast and any other transactions/eCommerce return related payments. I have assumed these to be 15% of the total corporate payments. The higher fee number here is due to the possible beneficiary deductions (lucrative “bene deduct” fees, per the banking industry parlance) that are made by banks/payment companies from the recipients of the payments. B2B – These are regular business-related payments between corporates. Now applying all these pieces of information above, I have projected the overall volumes of the different segments of the global cross border remittances (shown below). The estimated market size in 2018 is $24 trillion, with revenues of about approximately $180 billion. As shared above, based on the Mckinsey report, the average fee levels are at 6%, 3.5%, 1.5%, and 0.1% respectively for the four customer segments. TransferWise’s average fee in the current year ranges from 0.3% to 0.6%, and hence, we will take an average number of 0.5% of volumes as the fee income for 2018. TransferWise had total annual volumes of around $50 billion in 2008 based on average monthly volumes of around $4 billion. Based on this, its market share in the C2C category comes to about 5%. Since it has recently started operations in the B2B business, we will assume a 0% market share for the other segments in 2018. 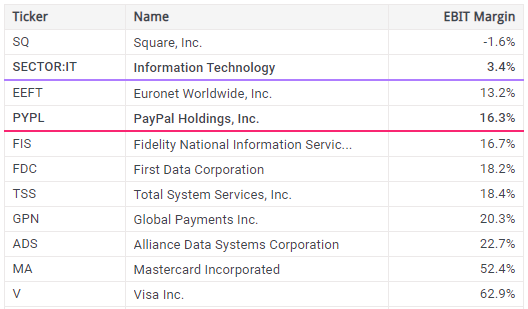 Looking at a few comparable companies in the global payments industry, the range is between 12.9x (ADS) to 32.8x (PayPal). Based on the TW business model, I am tempted to apply an EBITDA multiple of 20x; however, for the sake of being conservative, I will use a multiple of 15x. Looking at EBITDA margin comparables for TransferWise, the numbers range vastly, as shown below. The (positive) range is between 13.2% (Euronet) and 62.9% (Visa). Based on these numbers, a conservative number for this category of companies appears to be 20%. 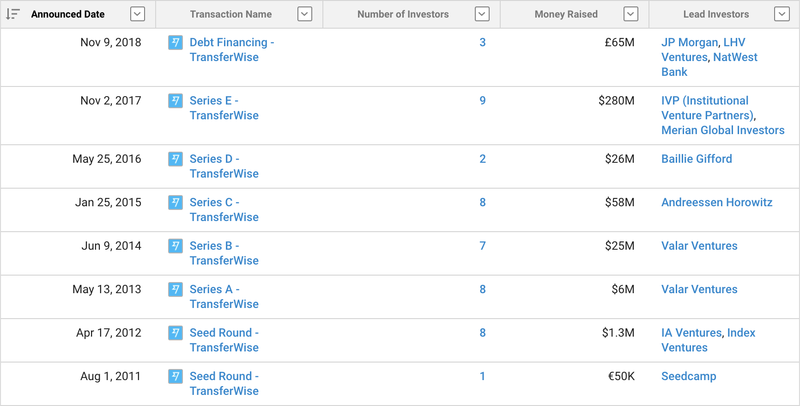 Now that we have determined a few key parameters, we can start building out various scenarios for valuing TransferWise. As has been explained before, the DCF-based approach is one of the most commonly used and can give very good results provided we have the right kind of detailed data. However, I am not doing a detailed exercise using DCF here, since going to details of DCF is not the objective of this article. In addition, this article is being written based solely on publicly available information. Hence, a DCF-based valuation would have to use many estimates and assumptions which will be prone to errors. In a real investor engagement, they would have access to the data room of the company alongside detailed discussions with the senior management, all of which will provide accurate inputs for a DCF model. TransferWise reported monthly volumes of around $4 billion in 2018 and has taken a key position amongst money transfer companies in several markets including the USA, UK, Australia, and Western Europe (TW market position). The table below shows how TW revenues have risen sharply since 2016, relative to its peers. Even if we take this growth rate to slow down slightly, it is clear that it is gaining market share, and I project its volumes to grow at a steady rate of $2 billion (notional transactions) per month every year for the next five years. A simple comparison across various digital money transfer services shows that the average price charged by various online money transfer agents is in the range of 1-3%. In terms of what TW can charge, I will use its current rate of 0.25% and assume that it will progressively increase to a steady state rate of 1%. Based on this approach, we get an enterprise value of $5 billion in 2023, based on a stabilized EBITDA of 20% and EV/LTM EBITDA multiple of 15x, as estimated in the earlier part of this section. It is also important to test this in the context of the overall market size, which comes to just 2.5% of the total market size ($168 billion), which does not appear to be too excessive or unreasonable. This cross-validation supports the fact that this valuation approach doesn’t produce an outlier or unrealistic valuation. In my personal judgment, this number of $5 billion appears to be very conservative, and actual valuation should be higher than this. However, the important point is that this approach helps us reach a reasonably comfortable conclusion that TW valuation could be greater than $5 billion by 2023. Market shares are projected from a current market share of about 6% in C2C and the inroads it has started making into C2B and B2C/B2B segments via its new offerings of debit cards and borderless account. The next table shows how these market shares will correspond to revenues projected across for the next five years. Looking at the above numbers, we can see that TW will have revenues of about $3.4 billion by 2023 and an EBITDA of $0.68 billion, which will give it a valuation of about $10.2 billion (15x EBITDA). This does appear quite heady, but we must keep in mind that we have already diluted the average fee levels further to 0.5% from 1% in the previous section. However, we have been a bit liberal toward business growth volumes across all segments. This also ties in with the lower fee levels, since a lower fee would facilitate a more competitive situation for TW and allow it to gain higher market share. It appears that a more competitive situation with higher market share is more beneficial for TW as compared to a higher fee level and lower market share. Scenario 1: Conservative – In this case, TW plays a conservative approach to ensure it is able to charge a higher fee and is working on a strategy to ensure that it makes a profit but not necessarily increasing market share. This case will be marked by the highest level of fees and, consequently, market share increase will be the lowest among all three. Scenario 2: Base Case (Moderate) – In this case, the business is assumed to be moderately competitive and, hence, fees stay at the current TW levels of 0.5%—the market share increase is consequently slightly higher than scenario 1. Scenario 3: Aggressive – In this case, TW is expected to play very aggressively in playing for higher market share rather than higher fee level and, hence, the fee actually reduces to 0.25% but the market share growth is the maximum. We arrive at EBITDA numbers ranging from $0.4 billion to $0.9 billion—by applying the EBITDA multiple of 15x (as used previously), we get valuations ranging between $6.4 billion to $13.9 billion. Attaching a probability weighting to each scenario gives us a probability-weighted valuation of $11.1 billion. The different methods used above have given us a valuation ranging from $5 billion to almost $14 billion. For those of you who were hoping to see one single value, I hope that you don’t feel disappointed. But, as I mentioned before, while the valuation exercise does become more scientific by the late stage of a fintech startup (as we’ve seen here), in the end, the final valuation is again a factor amongst other variables. This consists of the collective judgment and return expectations of the investment team, the bargaining power between the investor and the investee, the stage of business growth, and the potential of the business to continue growing aggressively in the future. 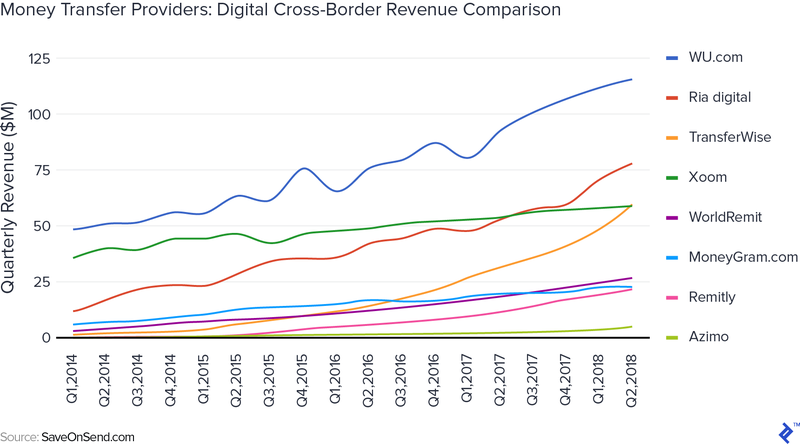 What the above exercise does point out to me is that TransferWise is doing a great job of disrupting the cross-border money transfer market and is likely to have a valuation, at a minimum, in the range of $5-7 billion in future rounds. I hope that you have enjoyed reading this as much as I have enjoyed researching and writing for this article. Please get in touch through the comments section if you have any feedback. The focus of this article is more to illustrate various ways in which the valuation of a firm can be looked at rather than illustrating how to arrive at a precise and specific value. It is also obvious that whoever is undertaking such a valuation exercise will have access to many more details about the industry and actual workings of the company as well as their future plan and roadmap for new product introductions that may add to the valuation being calculated. Such an exercise will also use a detailed DCF model as one of the key parameters to arrive at one of the valuations of the company to be compared with all other outcomes. Since the objective of this article is not to delve into greater detail about the DCF method itself, and the DCF method requires more elaborate calculation with specific information, I’ve excluded that for the purpose of simplicity. However, we are using surrogate methods that utilize underlying cash flows to value the companies, which directionally should give similar results. Nirvikar has helped raise $20+ billion of capital and built lines of business as an experienced CEO, banker, and strategist at ICICI, Citi, Bank of America, and FAB. An entrepreneur, Nirvikar is an active board member for startup companies, advising on strategic initiatives and capital raising. As a freelancer, he enjoys leveraging his background as an entrepreneur and executive to drive profitable growth at companies from various industries.